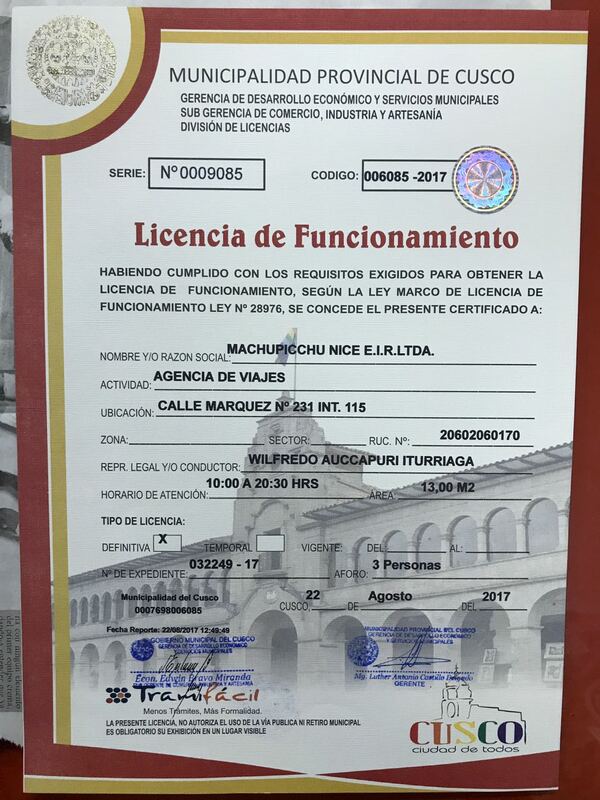 Con más de 25 años de experiencia MACHUPICCHU NICE es una empresa operadora de Turismo a nivel nacional, especializado en turismo receptivo e interno, turismo convencional y convencional. En la industria de viajes, caracterizado por su servicio personalizado y profesional. En estos 10 últimos años hemos logrado el posicionamiento en el mercado, obteniendo la calidad en nuestros servicios y la satisfacción de nuestros clientes. 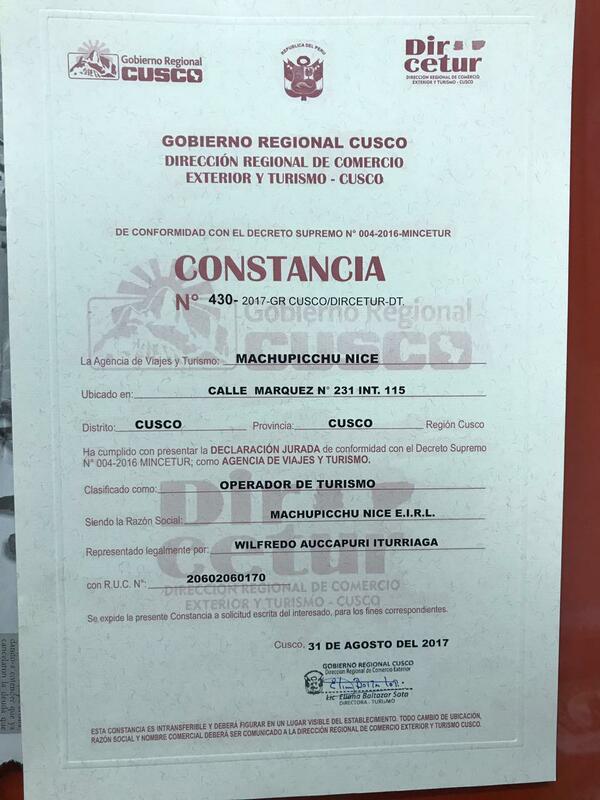 La empresa está legalmente constituido, y cuenta con: Licencia de Funcionamiento DIRCETUR. Travel agency MACHUPICCHU NICE & TOURISM CUSCO PERU, leader in unconventional tourism in the Southern Region of Peru and with an excellent business image serving as a bridge between the visitor and our Andean World. As an exceptional company that offers innovative products and services, to make the visitor experience the Andean world in its different facets: ecological, cultural and spiritual that allow us to change our conception of the world. We are committed to protecting the environment. We understand that tourism should not harm the environment but rather benefits communities instead, which is why we have hired local people who know, understand and respect their lands. We understand that the time you spend with us is valuable, therefore, we work hard to be prepared and well organized for your arrival, in order to guarantee the best possible travel experience for our clients and looking forward for the next experience.